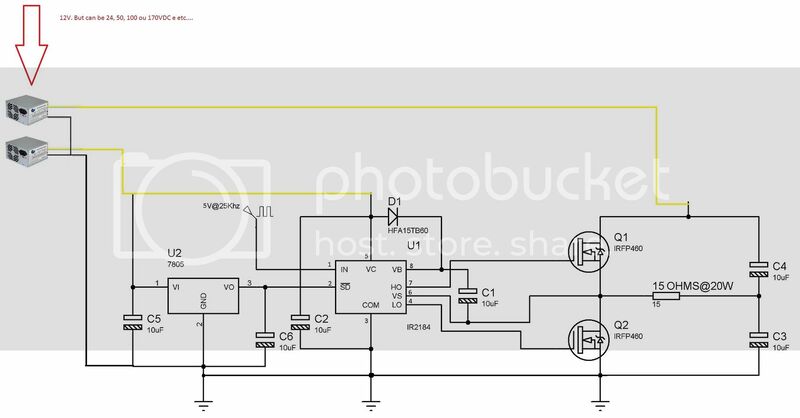 I am designing an power inverter. My idea is transform 12VDC in 120VAC@60Hz. 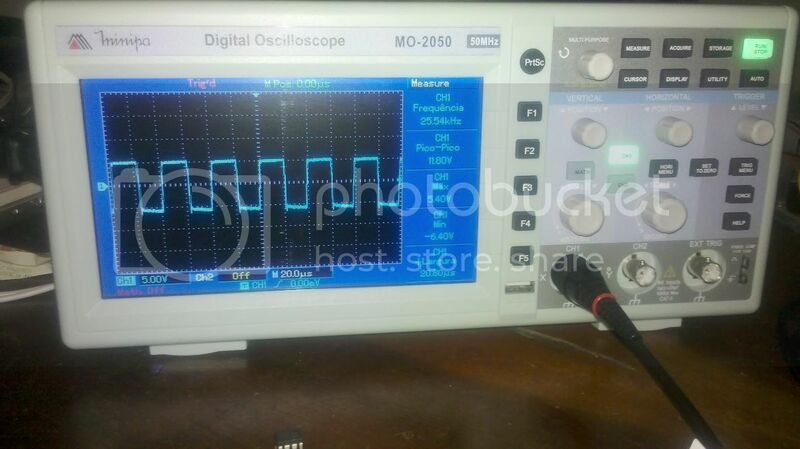 I will make a signal PWM at 25Khz comparing a triangle wave and a sini wave. OK. 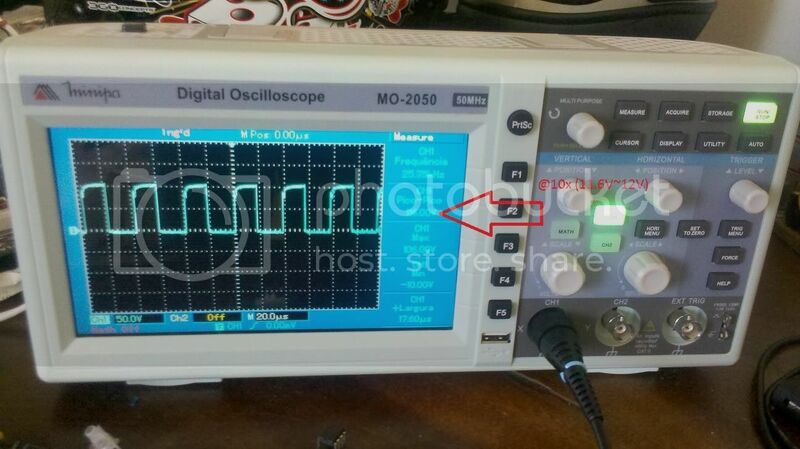 But, to make things simpler in the beginning, I am testing with an static root wave at 25Khz provided by a 555 IC. I threw this signal on a IR2481 gate driver to switch my two IRFP460 mosfets. This one is working very well. I am using a single power supply with 12VDC. Look the all the power lines and grounds are the same. 12Vp.p. It looks that is working. . Lets say that I need to work with to separated power supply. One will be my power supply for the control circuit (12V). My problem is the COM PIN of the IR2184. Accordingly to the datasheet, I need to connect it to the ground of the "HIGH" power supply. When I say "HIGH" I am referring to the power supply that feeds the mosfets. What is the correct way to connect the two power supply's and my control circuit? I connect the COM PIN to there and what happened? My IR2184's burned..
Did you have the COMs of both supplies connected together? Removed +5V on /SD pin. left it open. The two power supplies have a common ground. P.S: I forgot to add the resistor on the gate, but on my circuit, I added two 22 ohms resistors. Each one to each gate. Well, accordingly to the datasheet , the SD PIN must be connect to 5V? Well, accordingly to the datasheet , the SD PIN must be connect to 5V?. It has a resistor inside the IC that pulls the pin to +5V if you do not connect it. You could connect to VCC. VCC should be between 10 and 20 volts. Not 5 volts. I think you were driving the IR2184 with a 555IC and now you drive it with 5V. You much have a AC input like from a 555. You can connect the input to ground but you can not connect it to a + level for more than a short time.